CURT custom wiring is the best way to equip your vehicle with a reliable wiring connection for towing a trailer. Whether you're headed out to the lake for a day with the family or you're outfitting your truck for the jobsite, CURT has the connection you need to power your passion. All CURT trailer wiring is made vehicle-specific. It provides a secure connection without any cutting or splicing needed. It also comes with all necessary components for a complete installation from start to finish. If your vehicle does not have a trailer wiring connection, simply look up the year, make and model in the Select Your Vehicle tool. 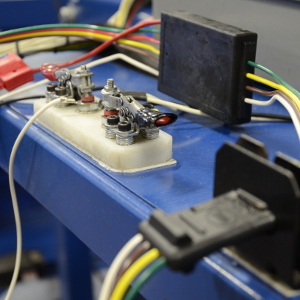 Because all custom wiring is made vehicle-specific, choosing the perfect fit is easy. If your vehicle is already equipped with a trailer wiring connection, we offer replacement plugs and sockets, as well as adapters to fit different types of trailer plugs. For some vehicles, multiple tow wiring options may be available. In this case, it is helpful to understand that there are two types of custom wiring as shown below. Some vehicles come with an electrical socket located somewhere at the rear. While this factory socket is not a standard trailer wiring connection, it provides a place to plug in CURT custom wiring. For vehicle's that do not have a factory electrical socket, a CURT custom wiring harness is designed to plug into a vehicle's taillight wiring. For this option, there is still no cutting or splicing required. Of the two types of custom wiring, connectors use a single plug while harnesses use multiple plugs. The result is the same: a standard trailer wiring connection, usually in the form of a 4-way flat. Neither option requires splicing. 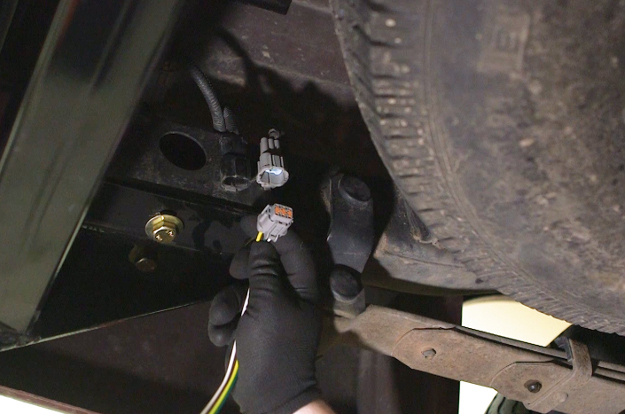 However, because a custom wiring harness uses multiple plugs to connect to the vehicle's taillights, it is sometimes referred as a T-connector. 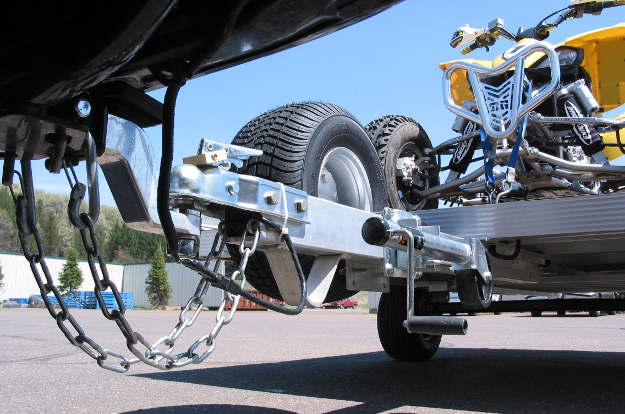 It Ts into the vehicle's electrical system using two or more plugs, bridging the existing connection and branching off a new connection for the trailer wiring. All custom wiring has a unique vehicle application, making installation fast, easy and less invasive than splice-in options. CURT custom wiring comes with step-by-step instructions tailored to each vehicle. Each harness and connector comes with all the components needed to complete the installation, including an integrated converter and extra wiring for a battery connection, if needed. Keeping your trailer wiring connector clean is an important part of maintaining a strong wiring connection. 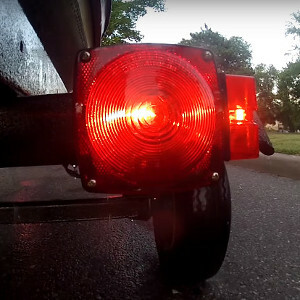 Rust, dirt and grime can quickly build up and deter operation of your trailer lights, causing added stress and unsafe towing. 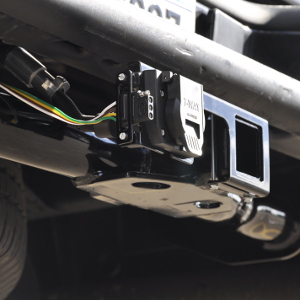 Each CURT custom wiring harness and connector comes with an included dust cover to help protect the trailer wiring connection when not in use. A growing number of CURT custom wiring options come with potted enclosure technology. This means that the integrated converter of the harness is filled with an epoxy resin, providing two key benefits. First, the epoxy seals off the internal circuits from water and road salt, increasing the longevity of the unit. 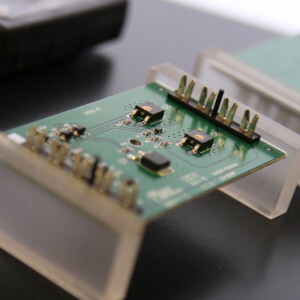 Second, it greatly reduces vibrations within the converter, helping to protect the circuits and ensure a long-lasting connection. Most CURT custom trailer wiring harnesses, particularly those with an integrated converter, are constructed with surface mount circuitry (SMT). SMT provides a number of benefits over older types of circuits, such as through-hole mount boards. 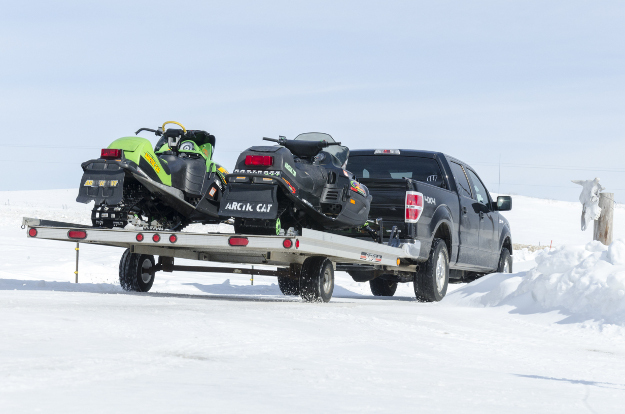 SMT provides enhanced performance and longevity, giving you a reliable trailer wiring connection for miles to come. SMT creates very little resistance, lowering the operating temperature and limiting voltage drop. SMT circuits are highly efficient to promote optimum intensity and life for the trailer lights. 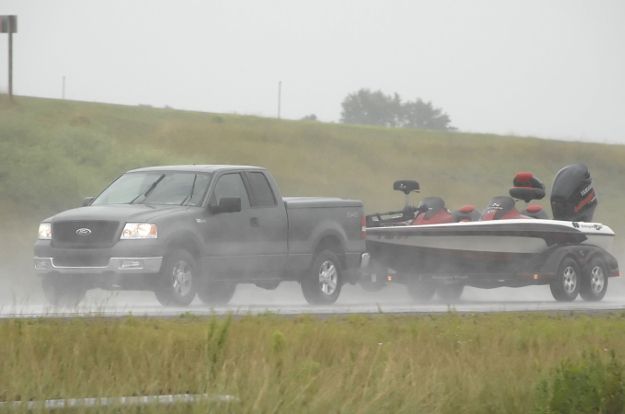 SMT is able to better withstand shaking and vibrations, conditions that are common while towing. CURT SMT converters are load tested and optically tested to ensure long-lasting reliability.